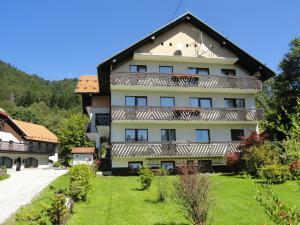 A-HOTEL.com - Luxury and cheap accommodation in Rijavci, Slovenia. Prices and hotel, apartment booking in Rijavci and surrounding. Set in Lokve, Gostilna Lokve provides accommodation with a sauna. Complimentary WiFi is offered. Located in the small village of Lokve, Hotel Winkler is surrounded by unspoiled nature and forest. It offers an on-site restaurant and rooms with satellite TV. Emerald Beauty is situated in Nova Gorica, 1.6 km from Solkan, and a casino and barbecue facilities are accessible on-site. Overlooking one of the largest stone bridges in the world, Guest Accommodation Primula is located in Solkan, at the beginning of the Soča Valley, close to the Soča River. Featuring an on-site restaurant, it offers rooms with free Wi-Fi. Situated in Grgar, Apartment Grgar - Nočitve Falco provides air-conditioned accommodation with a terrace and free WiFi. This apartment offers a garden. Located in the centre of Nova Gorica and featuring the largest casino in Europe, as well as a spa and wellness centre with an indoor swimming pool and a rooftop beach, Perla Casino & Hotel offers modernly furnished units with free WiFi access. The property also features on-site restaurants, cafes and bars. Situated in Nova Gorica, 300 metres from Solkan, Love 2 Solkan features free bikes and views of the garden. This 2-star guest house offers barbecue facilities. Located in Nova Gorica, within 2.2 km of Solkan, Love Center offers accommodation with free WiFi, air conditioning and a garden. Located in Solkan, just 1 km from the Soča River, Hotel Sabotin offers air-conditioned accommodation with free WiFi access. The property also features an on-site restaurant and a cafe. Apartment Cristian is located in Nova Gorica. Guests are welcome to enjoy the free WiFi. Located in the centre of Nova Gorica and featuring a casino, Park, Casino & Hotel offers modernly furnished rooms with free WiFi access. The property also features on-site restaurants, cafes and bars. Set in Nova Gorica, Apartment Saax provides air-conditioned accommodation with a balcony and free WiFi. Housed in a building dating from 1974, this apartment is 1. Situated 2.6 km from Solkan in Nova Gorica, Apartment Nova Gorica - Nočitve Falco offers accommodation with a kitchen. Set in Nova Gorica, Hostel Presta features a shared lounge. All rooms boast a kitchenette and a shared bathroom. Providing free parking and free Wi-Fi on a central location in Nova Gorica, Hotel Presta offers rooms with cable TV and private bathrooms. The bus and train stations are just 100 metres away.